Amelia would never let us say we’re nuts about her. She’d take it literally. But seriously, we are. Whatever you do with Amelia is bound to lead to funny muddles. Whatever you say, she’ll think you mean it exactly. Well, tripping over roads may not be your idea of fun. 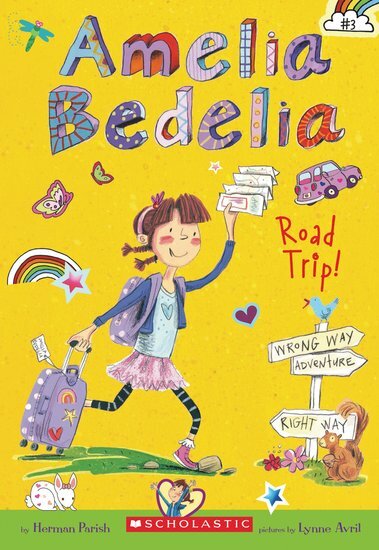 But for Amelia Bedelia, a road trip is a true adventure. So she piles into the family car for the journey of a lifetime. What cool things will the family see? And what funny things will Amelia say? A gem of a chapter book: just right if you love Judy Moody or Ivy and Bean.